Elegant, encased by glass windows with an abundance of natural light, The Hills Room is located on the ground level of the Hotel. This room also includes a large outdoor veranda area overlooking “the green”. Utilise the indoor outdoor area for cocktail parties or as a break out area for corporate functions. This versatile space can seat up to 300 people or 500 standing cocktail style. The Hills Room is room is 475 sqm, and movable walls which can split the room into two areas. Other features of the space include state of the art PA system, microphones, data projectors and screens, and a private bar with tap beers. 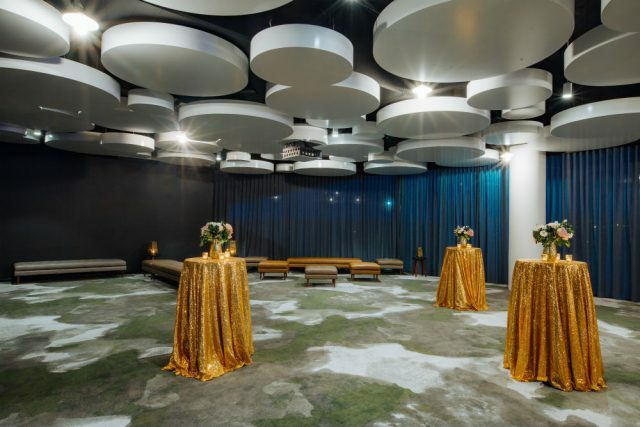 The Hills Room is ideal for celebration events, conferences and product launches. To book an event or request an information package, please contact our dedicated events team. We cater for corporate/social functions & cocktail style events in the stunning Hills Room. Our enviable function packages & canape menus are all tailored to your needs.